While there remain more than 12 months to prepare now, time is never too much. It is better to start now with an eye on the bigger picture. This is especially true for those CAT aspirants who may be weak in some aspect. They can slowly build up to concepts. Majority of the aspirants and as a result those selected tend to be engineers. Though definitely not a rule, but the usual pattern suggests that engineers are better in quantitative stuff than in verbal. So, these engineers can focus more on improving their vocabulary and English grammar, essential to life as a manager. Mathematics meanwhile is a pain area for many students at school or college level. Even within math, there are those comfortable with arithmetic and algebra, but not with geometry. The preparation may be geared up accordingly. Thanks to the plethora of video sessions now available from leading players such as Handa Ka Funda, students are in perfect position to go over and over on their pain areas. Unlike in a classroom programme, one can keep repeating the recorded sessions multiple times online. In CAT exam or most other entrance examinations in India, it is all about staying ahead of the curve. It is not just about how the aspirant himself/herself performs but how much better than the rest of the competition. An early start to preparation means that one can finish the CAT syllabus early, even with a relatively more languid pace. Here one needs to understand that the IIMs do not publish any official CAT syllabus. So, the CAT syllabus talked of is more in terms of research done by various coaching institutes- online as well as offline. Early CAT syllabus completion has another big advantage when it comes to testing oneself through Mock CAT papers. Most of these mocks usually begin by around May. A common complaint or excuse made by a lot of students for not sitting for these mocks is that their CAT syllabus was not complete, so they will not be able to do well anyway. This can be mitigated to a large extent by those who have started early, as by May most of the course gets completed anyway. So, one has the luxury of testing oneself against the entire CAT syllabus, or at least most of it. Till the full-fledged mocks begin, one can simply practice the sectional tests. These tests can be on the basis of the material covered till then. Since CAT aspirants' average age would be between say 20 and on the upper side 26, things are never static. At this age group, ideas and aspirations change periodically. If one takes a short to medium term prep period, one is almost tied to the idea, as there is lesser time to make the change. During a year's prep, one can always explore other related ideas. One might ditch the idea altogether. Or, one may opt for a related exam like GMAT or those for government positions. Another scenario could be that the student is genuinely preparing well, but still opts for a campus placement which he/she got a really nice one. A working professional may quit the idea simply because he/she gets the desired promotion or an attractive company switch. A longer time duration gives the luxury to experiment. Eventually one will need to an MBA/PGDM, but the urgency can be worked out. Going for an MBA is not just about the marks in the exam, but about several other factors too. 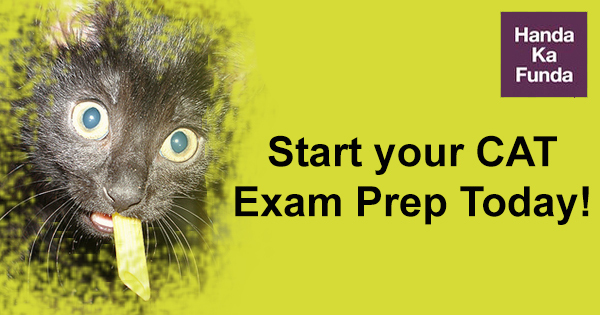 Good scores in the CAT exam are the first stage. Getting selection into the top colleges of one's choice depends on factors such as performance in the interview, certifications, experience, academic records and the right fit for the sector. Those who binge-prepare for short duration run the risk of being focused only on the academic aspects. Ones going for the longer duration, can work on other developmental activities. They can read novels and other books to improve their vocabulary and deeper understanding of factors. They can read the newspapers to improve their general knowledge, necessary for group discussions and writing tests. They can gain deeper insights into different facets of a business such as marketing, HR or finance. An aspirant can also undergo internships, take up specific projects at work, undertake leadership positions in college or go for volunteering assignments, all with the specific aim of clearing CAT Exam. Ultimately it all boils down to individual choices. There are some for whom binge-study helps. For such aspirants, the shorter duration may work, where they simply dedicate all resources towards the one aim. This is usually a tactic followed by some working professionals, as for them it often gets very difficult to predict much in advance due to the uncertainties at work and opportunities constantly knocking. Conversely, binge-study gets all the more difficult for working professionals as they need to spend time in office anyway, yet find it hard to take sabbaticals. For penultimate or final year college students, now is a great time to go for it, as they have the greater luxury of time. For them there is the added incentive of a peer group. College students often take up future career decisions collectively. So, a group of well-motivated students beginning preps early for CAT '19 gives the added advantage of the right peer group and the requisite competition. Thus, overall we see there exist compelling factors to start preparing for CAT 2019 from now itself. To mitigate the risks over such a long-period commitment, students will be well-advised to opt for online learning through recognized platforms such as HKF. This is due to the factors discussed above such as frequent changes in plan. Online prep will also enable the CAT 2019 aspirants to track their progress over a sustained period of time, and rectify the common mistakes being committed. How can one effectively utilize a career gap while preparing for CAT Exam?